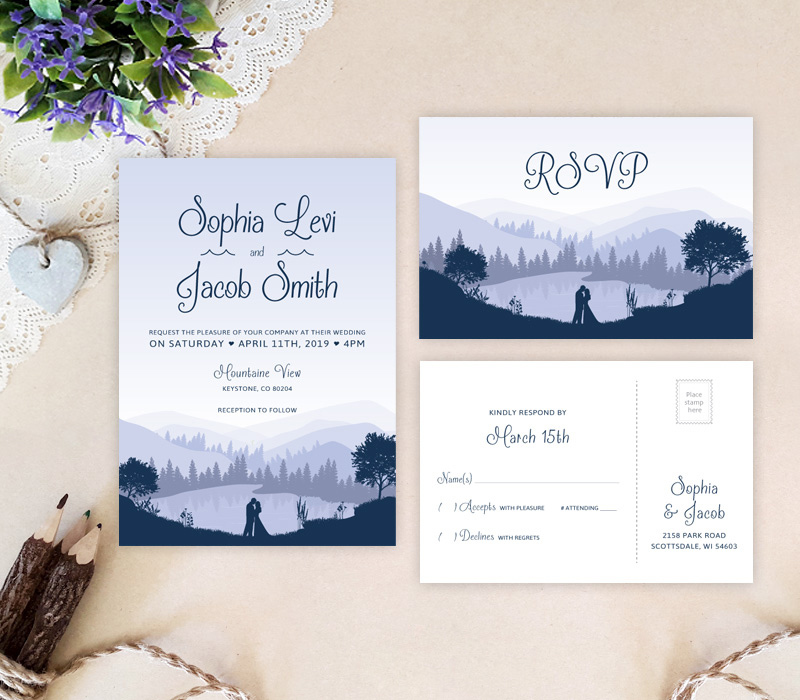 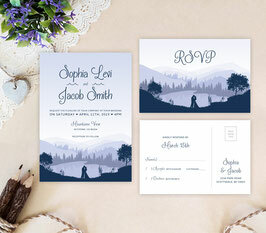 After you set the date, it’s time to tell your family and friends about it with our Mountain Wedding Invitation sets. 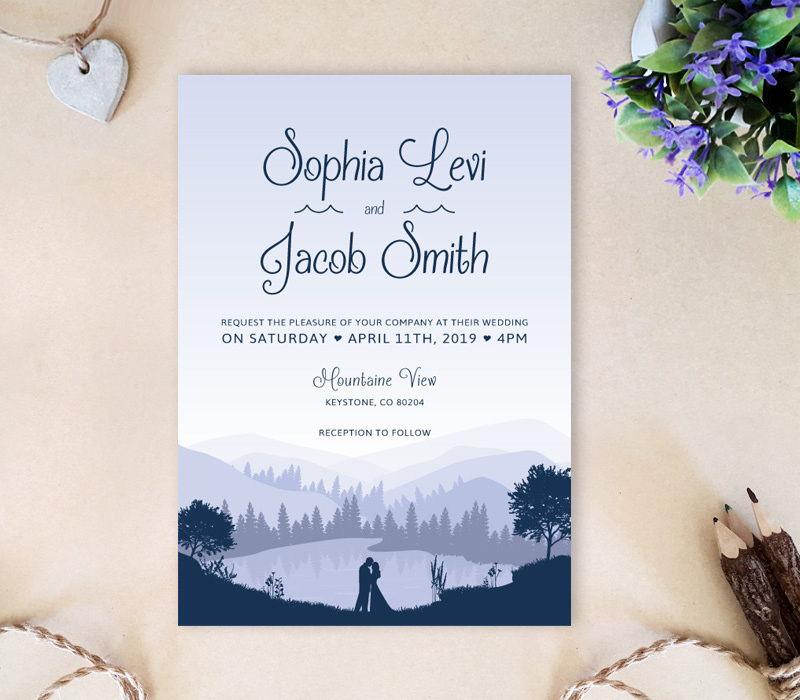 Displaying a romantic scene with a loving couple right in front of dreamy scenery, our wedding invites are the perfect match for your outdoor wedding. 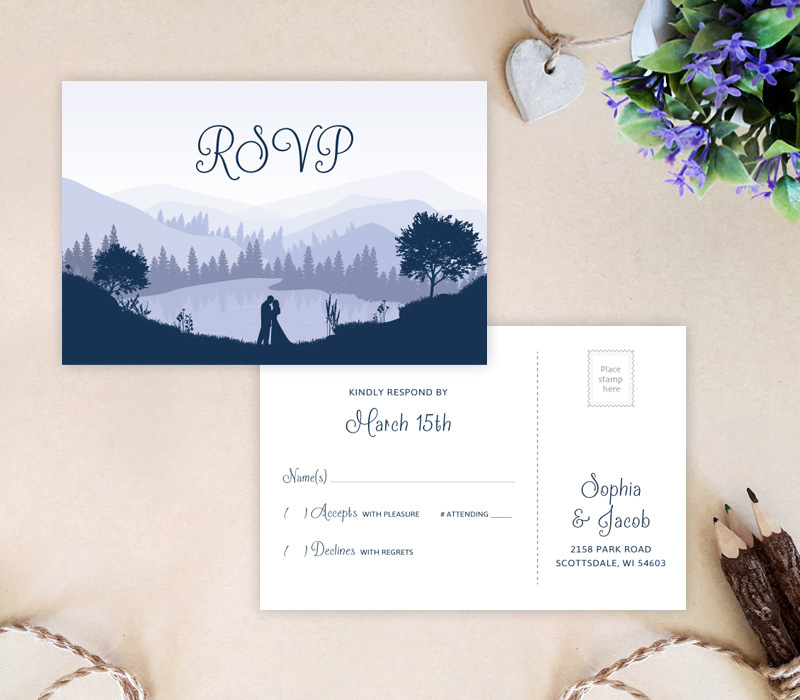 The entire set includes lovely wedding invites and R.S.V.P cards printed on premium paper.